Union Minister of State for Tourism, Alphons Kannanthanam laid the foundation stone for a spiritual circuit connecting Sivagiri Sree Narayana Guru Ashram, Arruvipuram, Kunnumpara Sree Subrahmania Swamy temple and Chembazhanthi Sree Narayana Gurukulam, at a function held at Sivagiri Mutt, Varkala near Thiruvananthapuram. The circuit will have facilities like a craft bazaar, bus shelters and an audio-video virtual reality show. 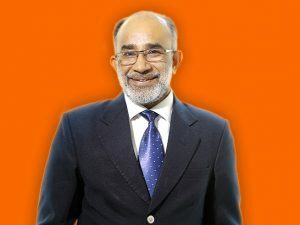 Speaking on the occasion, Alphons said that the Ministry of Tourism has sanctioned seven projects to Kerala under the Swadesh Darshan and Prashad schemes at an approximate amount of Rs 550 crore. He further said that Kerala’s future lies in exploring the possibilities in tourism sector. The project was sanctioned in January 2019 for Rs 69.47 crore.